Are you sure you want to eat that kelp? 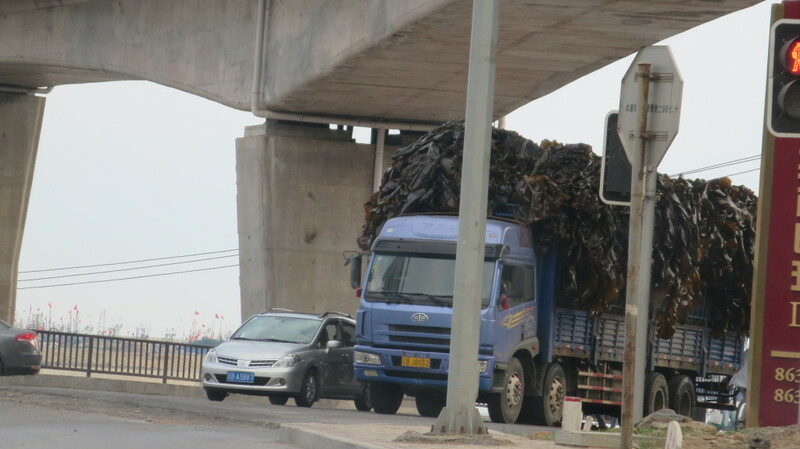 It’s a vegetable in Chinese cuisine, it comes from the sea, and it has to get from the sea to the table, but does it really have to be shipped in the open air in the back of a freight truck? Really? 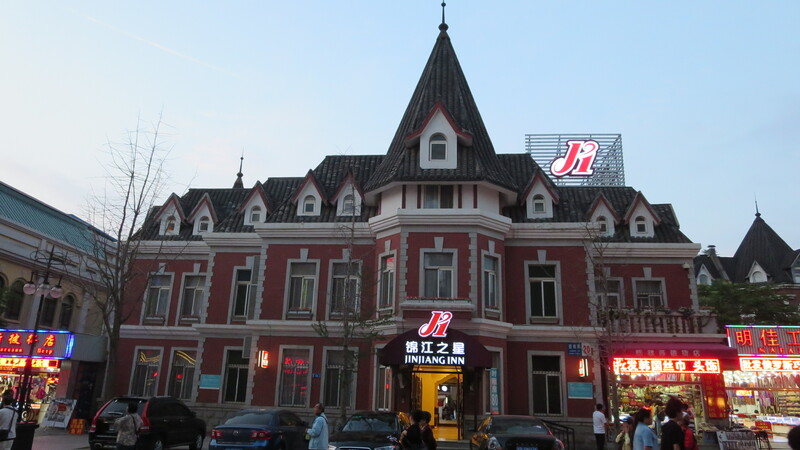 Don’t travel on a Chinese holiday. 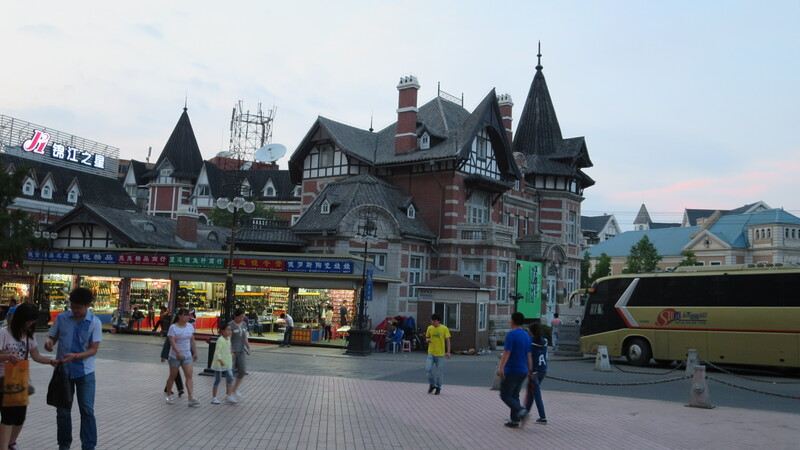 This is the train station in Dalian 大連 on Dragon Boat Festival 端午節. 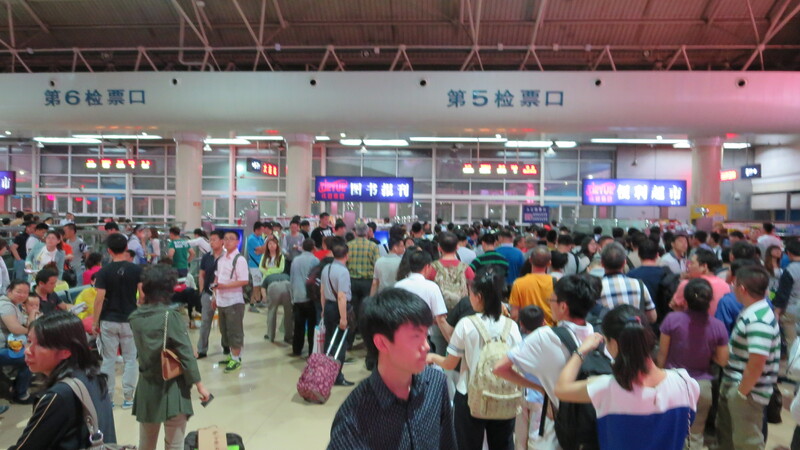 All three trains back to Shenyang were delayed. This is what the train station looked like. The train was almost two hours late. 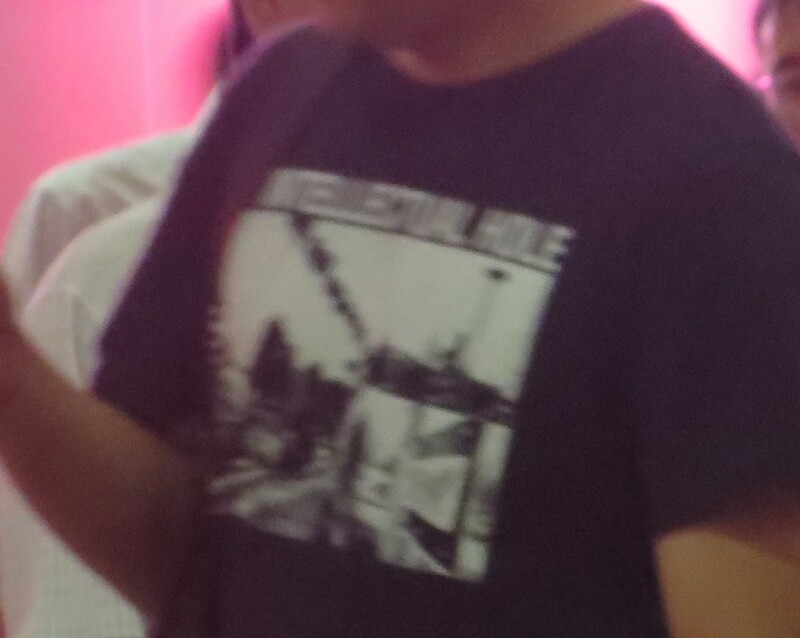 If I were more brave, I would have walked up to this guy, and asked to take a clearer picture of his t-shirt. Instead, all I can show you are these fuzzy pictures that took on the sly yesterday in the train station. 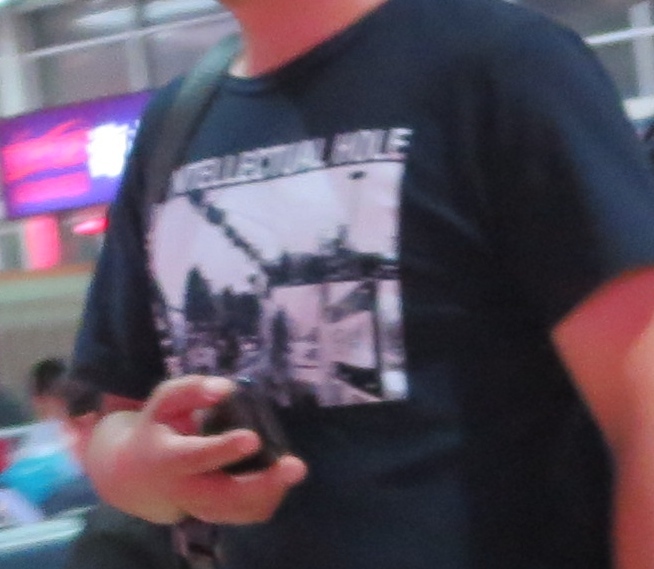 “Intellectual Hole:” wouldn’t that be a great name for a punk rock band? 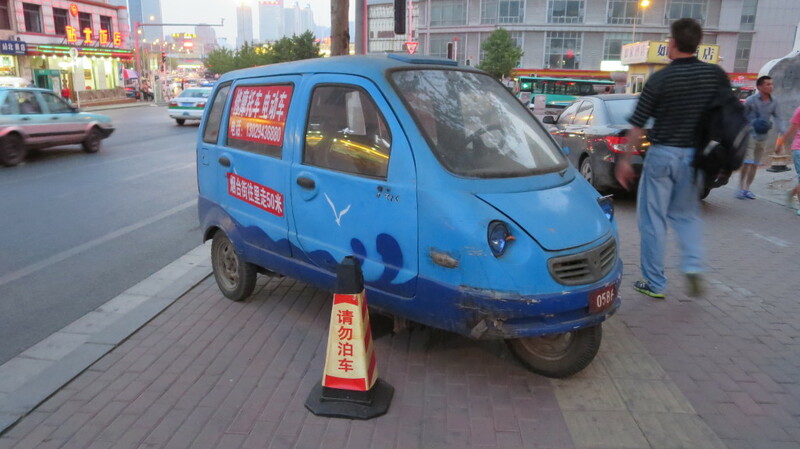 Would you want to drive a car like this? Me, neither. The city of Dalian (大连/大連), about two hours south of Shenyang, is a port city with a rich and troubled history. It has a wonderful port that made it the target of the colonial ambitions of Russia and Japan in the last history. 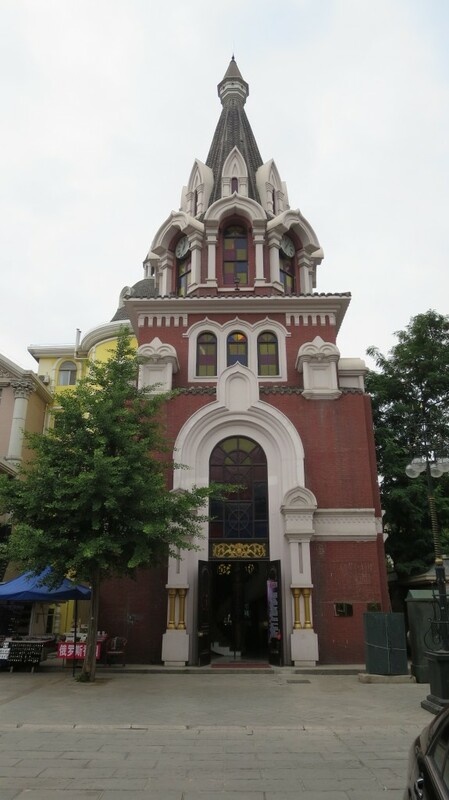 There are some nice old buildings that were built by the Russians, and are still in use today. 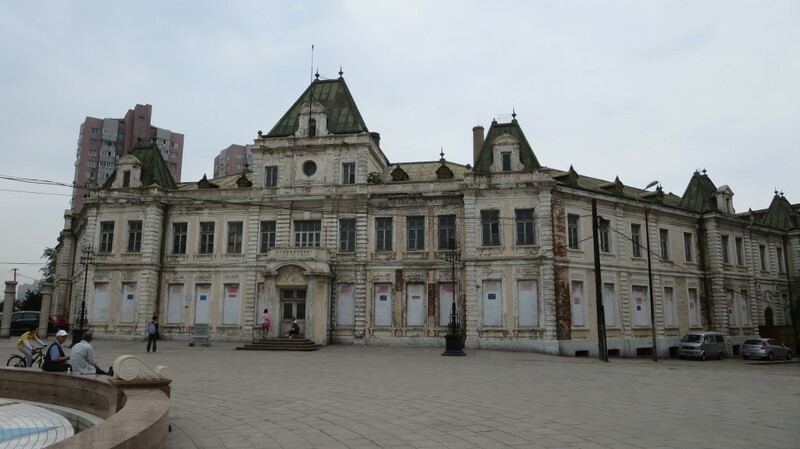 This beautiful old building is vacant, and needs some TLC. 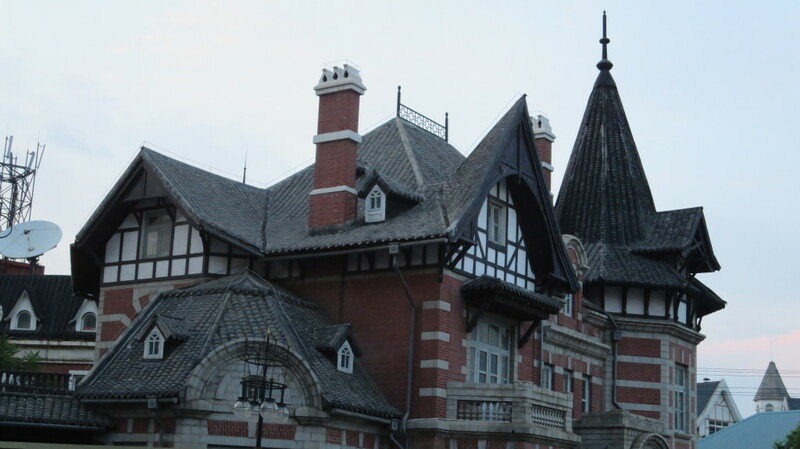 Details of the upper stories.